We all know that John Mayer is in this picture but there are two other key members of this photo you should be aware of. The first is Bob Weir (second to the right). Those who know the music industry may know that he’s a founding member of The Grateful Dead. Another key member? Bob Weir’s daughter Monet Weir. 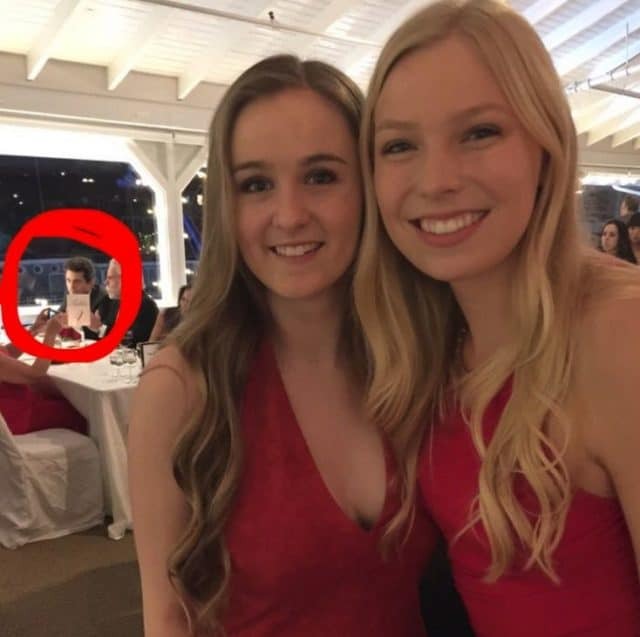 Recently Weir and some of her sorority sisters shared pictures of Red Dress Gala of the Alpha Phi sorority at Chapman University. It was a charity event and none other than John Mayer was in attendance. Needless to say the sorority sisters were excited and posted pictures on social media every chance they got. 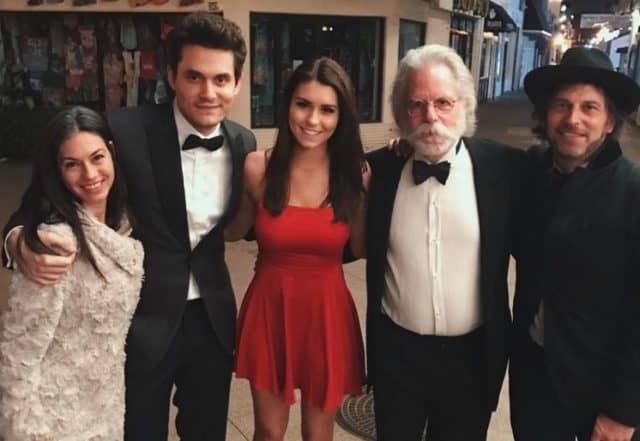 But let’s talk about the real reason Mayer was there: Monet Weir and the fact that John Mayer is still single. 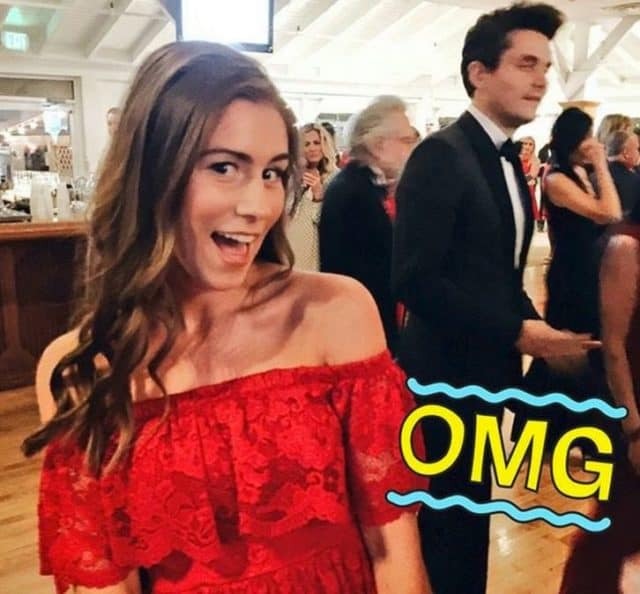 Mayer may be pushing 40 but he knew exactly what he was doing at this sorority function. Like any rock star he decided he would play the field and it’s pretty obvious that Monet Weir has all the aesthetic features most men would want. I wonder how Bob Weir feels about all of this?